Until this morning it was caution rather than honesty that had prevented my sampling the ill-gotten wares of video pirates. I’ve never bought a dodgy DVD in a pub car-park because I’d heard stories of shaky camcordered cinema copies complete with bobbing audience heads. While my slow broadband connection and concern about being infected with a virus meant I’ve never downloaded a ‘free’ video from the internet. I hereby resolve not to entertain these impure thoughts again. I recognise what I always knew – illegally copying videos is copyright theft and a criminal offence – but now I fully acknowledge the truth. To transgress would be a sin of commission - damaging the entertainment I love by diverting funds that could help finance future productions. The facts spoke for themselves at a video industry conference I attended in London this morning where the British Video Association launched a study More Than A Support Act it had commissioned from Oxford Economics. The research showed that UK video sales accounted for 47 per cent of feature films revenue and 34 per cent of TV series and dramas. 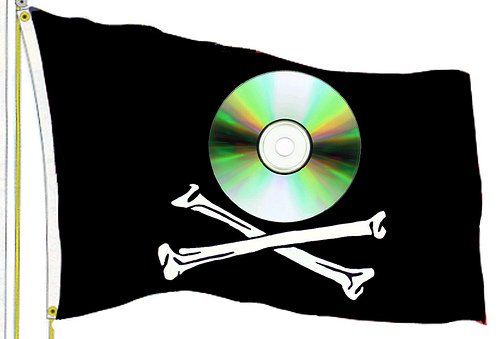 Case studies underlined the artistic importance of combating piracy. Nearly half the UK revenues of the hit television show Downton Abbey was derived from video and helped finance a second series. As for the 2006 independent movie KiDULTHOOD, it cost £650,000 to make and earned £500,000 in its initial cinema release. However the sale of 700,000 video copies of the film made possible the 2008 sequel AdULTHOOD. As Lavinia Carey, the BVA's director general said: “The future of video is bright, but we need to increase high speed broadband penetration and continue to tackle intellectual property theft to make sure the video sector can continue to support British film and TV production." An interesting POV, thanks GC. Certainly an issue worth considering.